This year was going to be the year—the year we would have the perfect Christmas! I know things aren’t ever really perfect, but this year I was going to be on top of it. We’d make it through our daily advent reading as a family ALL month. We’d host a Christmas cookie decorating party for the kids in our cul-de-sac. We’d take a family trip to the Christmas tree farm to pick out the perfect tree. I’d take my girls to see the Nutcracker ballet for the first time. We’d shop for our Angel Tree child, and on and on I could go. Except that it’s December 16 and we’ve done none of those things. The other day, after realizing we were totally failing at this whole Christian Christmas thing, I randomly blurted out to my husband, “We have to buy a chicken!” I was feeling badly about missing the Angel Tree deadline so I figured we could at least buy a chicken for a family in need through Compassion International or something! Sometimes LIFE just happens, doesn’t it? And life can get in the way of our perfect Christmas, can’t it? But it was okay. I could deal with the drama. It was time for my soul to rest, even if life around me seemed chaotic. So even though this hasn’t been the “perfect Christmas” I had planned, I’m choosing to rest in the fact that I am deeply loved in spite of it all. I’m going to let myself slow down. I’m going to seize the special moments with my family as they come. I’m going to set aside my ideas of perfection and embrace the messy life right in front of me. I’m going to worship my Savior as I nurse my baby to sleep. (We ladies are good at multi-tasking, you know.) I’m cutting myself some slack, enjoying my family, and thanking Jesus that January is just as good of a month as December to read Bible stories to my kids. We don’t have to stop celebrating His coming to us as a baby on January 1. We can weave it into our real life all year long, thanking Him for grace to fill the gaps along the way. Jesus, help us to resist the hurry, forget perfection, and savor the moments this Christmas. And that ladder we try to climb to you, thank You for climbing down it instead. You came to give us rest. Help us not to miss it. *Please leave your comments below! Beautiful friend! I’ve not had the “perfect Christmas” this year either and it was so good to hear your words of wisdom. We are all in this together and I’m so thankful we can REST in our Savior. Thank you for sharing your reality. Again, thank you for being real. My journey through my first Christmas this year, with my two teens, as a new, unexpected single mom is less than perfect. Wow- I finally realized that I can never reach perfection in anything. Only the perfection in Jesus and his love and his promises will ever meet our needs and expectations . I exhaled long and hard when I finally realized that. Thank you again, Lyndsey. Love and hugs! 🙂 to you and your family. And Merry Christmas. Thanks for writing this! 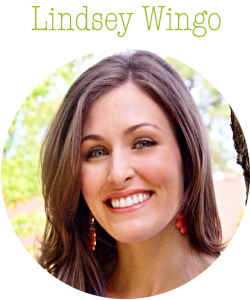 It is encouraging to me and all other moms to know we don’t feel these feelings alone. Merry Christmas to you! Precious, Lindsey! A blessing to all who read! How many years have I dreamed of the “perfect Christmas” as you have described in your post? 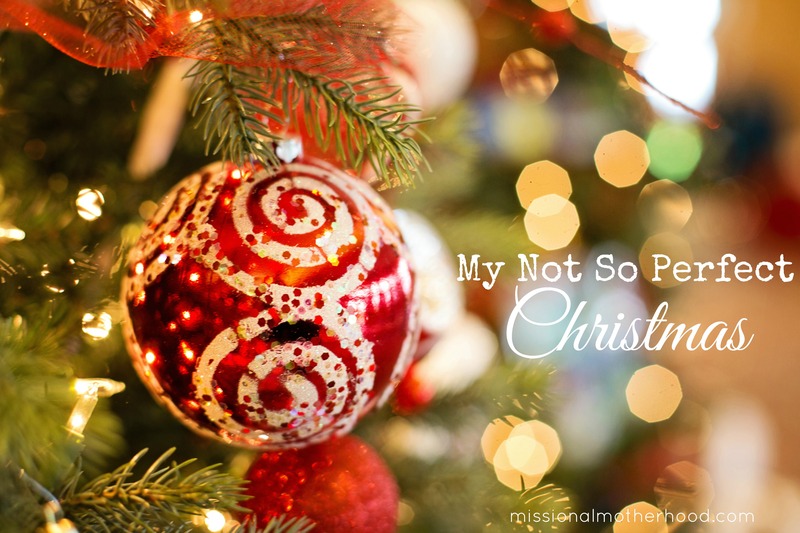 Trying to be the “perfect” wife and mom and to “do it all?” Where do we get our ideas of what the “perfect” Christmas is? Does God order us to do all these things? Or do we do them because that’s what we see on the Christmas movies or see in the magazines: perfectly decorated Christmas trees, prize-winning cookies, a spotless house, children with halos over their heads playing contentedly with one another, etc. That’s not real life. Christmas is about Christ…not all those things we think it is. I’m learning that these things are possible (not all, but some of them) WHEN Christ takes first priority. When my focus is on Jesus and the things He wants for us as His children (like displaying the fruits of the Spirit, promoting peace in our homes, being faithful in the everyday things), then the “perfect” Christmas activities include Christ because our thoughts have gone to Him first. Let’s take some of the pressure off ourselves by remembering the humble atmosphere into which our Savior was born: there was no perfectly decorated Christmas tree awaiting Him; there were no beautiful decorations in the stable; there were no heavenly smells of sugar cookies & spices in the smelly stable. BUT there was music from Heaven as the angels sang their praises to the Newborn King. A beautiful star like none other lighted the way for the shepherds as they made their way to the stable to see Jesus. And there was PEACE because the Prince of Peace had come. Let’s allow Him to give us that deep peace in our hearts that we truly seek by seeking Him. Thank you, Lindsey, for this reminder to us all. If it makes you feel any better, we JUST put up a BORROWED Christmas tree last night! Long story but we threw our other one away when we moved in April and have not had time to go buy a new one! Thank goodness for some life group friends who said we could borrow their extra one. This year has been the craziest ever at the Mullins house I think.